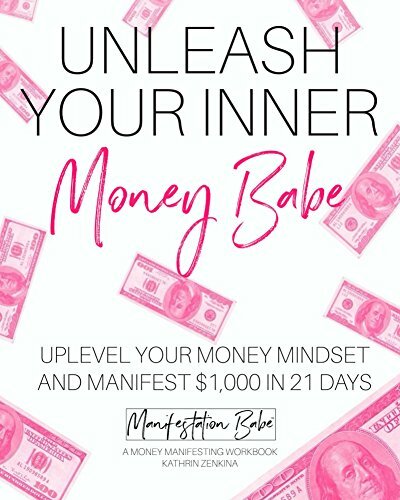 Unleash Your Inner Money Babe is a workbook designed to help you let go of your past programming and limiting beliefs around money, and unlock the mindset of abundance and wealth. The workbook is designed to be a fun, exciting, truth-bomb packed 21 day challenge with the goal of manifesting $1,000 by the end of the 21 days. Kathrin guides you how to do this step-by-step with her “money babe actions” that allow you to tap into your innate ability to manifest money. Society wants you to think that money is hard. But the Universe is urging you to learn the truth about money. This workbook is your key to unlocking your natural money manifesting abilities that you didn’t know you had all along. After the challenge, you’ll never go back to struggling with money again. Ever. You can find more about Kathrin on Instagram at @manifestationbabe, on Facebook by searching Manifestation Babe, or online at ManifestationBabe.com.